America’s highways and bridges are falling apart. Our infrastructure has been neglected for years. Even the U.S. Department of Transportation acknowledges just how bad the problems are. According to DOT, 49% of the highways in America are poor or mediocre. And our bridges are even worse. The states with the worst roads? Illinois and Connecticut top the list followed by Wisconsin, Colorado, Oklahoma and Rhode Island. Bad roads mean traffic delays, increased accidents and costly repairs for motorists. But bad bridges are even more dangerous and sometimes deadly. A huge number of bridges in the United States are structurally deficient or functionally obsolete. How does DOT define these terms? A structurally deficient bridge has known cracks or excessive wear. They urgently need repair but are not necessarily unsafe. A functionally obsolete bridge means they were built with methods today deemed obsolete and are not up to current safety codes. They are far more dangerous. Because construction methods have changed so much and so many of these obsolete bridges are old, it is hard telling when they may fail. To keep our highway infrastructure safe, the federal government and state departments of transportation spend billions of dollars maintaining our roads and bridges. Much of this money is spent on private contractors. Unfortunately, some contractors cut corners. That is where you can help. By becoming a DOT fraud whistleblower, you can help stop fraud, keep motorists safe and earn a large cash reward for stepping forward. Using foreign steel on federally funded transportation, road and bridge contracts. The Buy American laws require U.S. sourced steel for most highway contracts. See our Buy America whistleblower information page. We have prosecuted Buy America cases for companies using illegal foreign steel in roads, the Miami International Airport intermodal center and even the streetcar line in New Orleans. Using substandard concrete or other building materials that are not to spec. As noted above, the possibilities are endless. If you are unsure if you have a case, call one of our DOT fraud whistleblower lawyers. Our consultations are always without cost or obligation. Congress knows it is sometimes hard for whistleblowers to step forward. The federal False Claims Act prohibits retaliation against workers who report fraud involving government funded contracts. Most states rely on federal highway monies so claiming whistleblower retaliation protection in state highway cases is usually possible. Under the federal anti-retaliation provisions, workers suffering from illegal retaliation are entitled to double damages and back / future wages if they were illegally terminated. The law also pays attorney’s fees. All fifty states also have whistleblower protection laws as well. Some would-be whistleblowers don’t want the hassle of going through a wrongful termination lawsuit. We certainly understand. 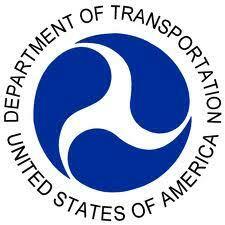 DOT fraud whistleblower claims are filed under seal. That means they are secret and your identity can probably be kept confidential for at least 6 months and often a year or longer. Plenty of time to secure new employment if you choose to leave. How Do I Qualify for a DOT Fraud Whistleblower Reward? Under the federal False Claims Act, whistleblowers with inside information about fraud or misuse of federal highway dollars can receive between 15% and 30% of whatever the government collects from wrongdoers. Because the law includes huge penalties and triple damages, the potential rewards mount quickly. Million dollar rewards are common. Under the various state whistleblower laws, rewards of up to 50% are possible. Additionally, OSHA laws protect whistleblowers who report workplace safety violations. Why Should I Become a DOT Fraud Whistleblower? There are many reasons why people become whistleblowers. Most of our clients do it because it is simply the right thing to do. Each time we turn on the TV news, we are greeted with new scandals. Fraud and greed seem to grow worse daily. Fortunately, a number of people are growing sick and tired of the trend and are doing something that Washington and the various states can’t seem to do by themselves. They are taking a stand. Prosecutors and auditors can’t monitor every highway and bridge contract. Instead, Congress and many states have empowered ordinary workers to become whistleblowers. They are the new American heroes and they do make a difference. The False Claims Act allows citizens to enforce certain fraud laws on behalf of the government. And get paid for it. Whenever someone rips of tax dollars, every citizen suffers. We all pay more because of those folks who think it is okay to cheat. Allowing dishonest businesses to cheat the system also punishes the legitimate contractors and vendors who are put at a competitive disadvantage. We have seen several companies using cheap Chinese steel yet billing as if it were US steel. These companies can underbid their legitimate competitors. Americans don’t like cheaters. Contractors that rip off the DOT are ripping of everyone. Finally, there is a safety aspect. Using substandard cement, cheap steel or cutting corners on building codes puts everyone at risk. In 2007, a section of the I-35 bridge in Minneapolis collapsed killing 13 people and injuring over 100 others. The bridge has been designated as deficient and obsolete yet no monies were available to fix it. Earlier this year, a bridge in Canada collapsed just four hours after it opened. Fortunately, no one was injured? Was it poor construction? Poor engineering? Shoddy materials? We don’t know yet but taxpayers certainly didn’t get what they paid for. The whistleblower lawyers at Mahany Law have years of experience in investigating and bringing False Claims Act cases for shoddy bridge, highway and transportation projects. Our legal team has helped our clients collect over $100,000,000.00 in award monies (whistleblower cash rewards) and has helped taxpayers recoup billions of dollars. Considering Blowing the Whistle on Fraud? Call Us 202.800.9791 or Report Online.